When you are becoming a new driver you are probably only thinking about one thing and one thing only. Freedom. 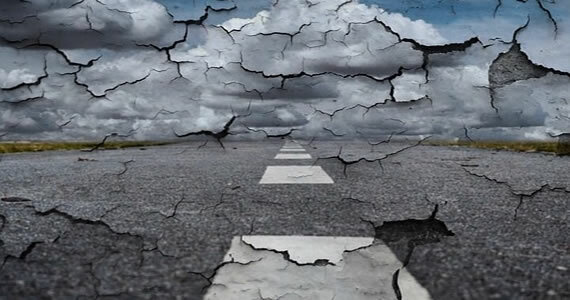 Being able to drive yourself wherever you want to go is very liberating, but what do you do when you vehicle breaks down and needs maintenance. With this freedom also comes responsibility. You have to take care of your car so it can keep giving you your much desired freedom. As a teen driver, having your own vehicle can represent fun and freedom of motion; freedom to go out with friends and be away from the nest as you explore your community. Since many teen drivers tend to drive older vehicles that are purchased cheaply or are hand-me-downs from parents, though, you will need to learn how to take care of your car or you will likely have mechanical problems down the road. Here are the top areas to consider in taking care of your vehicle as a new teen driver. Your car’s vital systems include engine oil, engine coolant and automatic transmission fluid that need to be changed over time. Ignoring these periodic maintenance steps can quickly lead to engine or transmission damage, so learn to change your car’s oil and fluids yourself or take it by the shop for periodic servicing. You don’t want to spend all of your money being a new driver are extensive car repairs. Make sure you are taking care of your car’s oil and fluids to make sure you are getting the most out of vehicle. A vehicle’s tires are its only point of contact with the road, and having a good set of tires is the most cost-effective modification you can do for safety and performance. Companies like Free Service Tire Company carry tires from Michelin, BF Goodrich, Goodyear and others, so inspect your tires with a penny to check for good tread life. If you line up Abraham Lincoln’s head with the groove in the tire and any of Lincoln’s head is obscured by the tire, your tread is worn out and it is time for a change. Your tires also need to be periodically rotated to ensure even tread life, which is also a good time for a technician to check for proper wheel alignment. Any car needs a good set of brakes to ensure safety behind the wheel, but when your brake pads become worn and scored over time, you need to replace them or you will be looking at a big repair bill down the road. Brake rotors are much more expensive than the pads themselves, but you will not usually damage your rotors unless you let the pads go. Listen for a squeaking sound when you brake; this is the telltale sign that your pads are worn out and are in need of replacement. If you would like to keep your freedom of mobility as a new teen driver, follow these steps to proper vehicle maintenance and know that no car will ever be trouble-free forever. The key is to tackle small issues as soon as they pop up to avoid big problems just down the road. Your children learn life skills by modeling your behavior. This includes safe driving habits. Make sure you practice good behavior by buckling up, avoid using your cell phone, and staying focused and calm. Your teen is more likely to act responsibly if they have a financial stake in vehicle ownership. 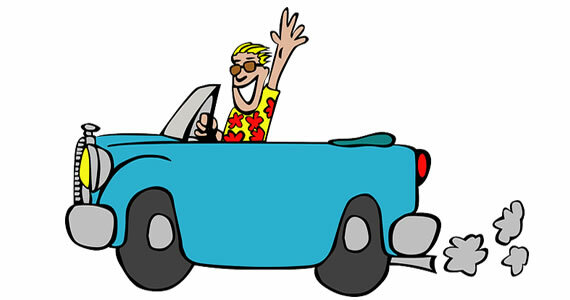 Encourage your new driver to contribute their own funds toward the purchase and maintenance of their vehicle. You can find used cars at an affordable price at places like the Autobank of Kansas City. Used cars have a much more reachable price tag for teens, and it can help them feel more responsible when they are helping to pay. You can also have them help pay for things like insurance, so they understand that driving is a privilege. It is a fact of life that young people will make mistakes. Make sure your teen knows they can count on you if they get into a situation they cannot handle. You can even establish a code word that signals that they need help if they are unable to speak freely. You can turn the situation into a teachable moment later when you can both discuss the issue calmly. It is best to set realistic restrictions on your teen’s driving privileges during the first few months. For example, you can limit driving to daytime hours or require that they have an adult driver with them until you are comfortable with their skills. You should discuss these limitations with your teen ahead of time to avoid arguments later. Many parents have their young driver sign a contract before hitting the road. The contract should detail the rules that your teen is expected to follow regarding car use, maintenance, and safety. The contract should clearly state how you will monitor behavior, as well as the consequences for breaking the rules. You can even include a set of graduated privileges if your teen honors the agreement. Most parents discuss the dangers of drinking and driving with their kids. That is certainly important but does not cover many of the hazards faced by today’s teen drivers. Distractions from cell phones, tablets, and smartwatches cause thousands of accidents each year. Parents should discuss these issues with teens often. You may even want to disable vehicle features that make it easy to use electronic devices while driving. Finally, it never hurts to enroll your teen in a professional driver’s education course. This may even earn you a discount on your insurance. You can instill good driving habits in your kids at a young age. Teen drivers are considered high-risk operators because they lack experience behind the wheel. While there are several reasons why teens are most at risk on public roads, one major reason why drivers between 16 and 19 have the most crashes is because they are easily distracted. With all of the newest smartphone features and tablets that are hitting the market, driver distraction is becoming a serious problem. Unfortunately, when a teen does not realize the dangers of distracted driving, they are not likely to make an effort to avoid distractions. If you are looking for ideas on how to teach your soon-to-be drivers about the ever present dangers, here are six tips. Distracted drivers put everyone on the road at risk. For some teens, the statistics will really speak to them, but you cannot just expect to tell them that 3000 people die per year because of distractions. In order for the information to do its job, you need to focus on providing the data for drivers in their demographic. If you were to explain that 16 percent of teens in fatal crashes were distracted, that could hit home. You could narrow the information down even more and explain that more than 1 out of every 4 accidents is caused by cell phone usage, and out of these accidents, 10 percent are fatal. No matter how experienced you are as a driver, diverting your attention to a phone, a makeup compact, or a television screen can be dangerous. While the rate of accidents are higher for teens, distracted driving is a leading cause in serious accidents in all age groups. If you want your teen to be safe and to exhibit responsible behavior when you are not around, you need to set the example. By fighting the urge to text or shuffle through music, you can demonstrate the model behavior that they will know to mimic. You should never wait until your teen has made a mistake to set the ground rules. Setting the rules that must be followed while operating a vehicle should be done before you hand over the keys. You should discuss the dangers of distractions, teach your child how to avoid the distractions, and have them sign an agreement so that there are consequences if they are caught violating their contract. There are a number of Public Service Announcements that teach teens the dangers of driving while distracted. You might not pay attention to these when you think that a devastating accident cannot happen to you. When you sit down and speak with someone who has lost their loved one due to distracted driving, it starts to feel more real. That emotional presentation or conversation could make all of the difference if your child is making mistakes. Parents and teens do not get to spend enough time together doing things that can make a difference. After you have discussed the distractions, stressed the dangers and spoke with someone who has experienced loss, the last thing that you can do to ensure that the message has been intercepted is create a Public Service Announcement (PSA). Choose the artwork, come up with a message that will be heard by a target audience, and then consider presenting this to a community organization. You can take preventative measures to help reduce the chances that your teen will have an accident, but there is always a chance it could happen. It may even be that the other driver was distracted and your teen was just not able to avoid the collision. Parents should prep their teens so that they know their legal rights and what to do following an accident to exercise these rights. Have them take pictures, seek immediate treatment and document their costs. You should also talk to a lawyer so that you can discuss your right to recovery. After you speak with a lawyer, you will know which bills you can recoup and what steps you must take to shorten the process. Attorneys can help you get the compensation you deserve. No one wants to receive a phone call where the person on the other line tells you that their child has been in an accident. There are risks associated with driving, but you can play a role in making your teen a responsible driver from the start. Consider these tips, and prepare your teen for a life of focused driving. Informational credit to Ladah Law Firm, PLLC. Getting a driver’s license is one of the biggest milestones in becoming an adult. Unfortunately, many teens start driving without being adequately prepared. Here are some helpful tips to make the transition to the motorway easier and safer. The single biggest fear that most parents have is that their children will be unsafe behind the wheel. Before you even turn the key in the ignition, make sure that your seat and mirrors are adjusted properly. 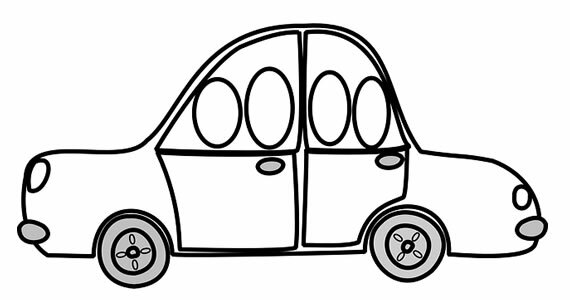 You should be able to see clearly on both sides of your car, with the center rear-view covering the blind spot from the two side mirrors. Familiarize yourself with all of the car’s controls as well – the last thing you want is to be fumbling over the instrument panel in the middle of traffic. Too many teens hit the road without a basic mechanical understanding of how their cars work. It’s worthwhile to spend some time getting to know the ins and outs of a car before you even have your learner’s permit. Understanding how to change a tire, check the oil, and replace a taillight can save a bunch of money – something that teens are typically fairly short of. If you don’t have a family member who can teach you, ask around your school or trade labor at a local garage. Both the written and the road test can be incredibly nerve-wracking for new drivers. Even if you’ve been practicing for weeks, anxiety can creep in and ruin everything. Before you go to the DMV, take some time to study ways to center your mind and calm yourself according to Valley Driving School, a Delta driving school. Eat a banana before taking your test, as the fruit is rich in tryptophan, a protein that releases the calming hormone serotonin. One of the most commonly-heard refrains in learning how to operate a car is "drive defensively." While it’s easy to say, it’s harder to do. Teens should not only understand how to control their vehicle in normal situations, but also what to do in case of inclement weather, heavy traffic and in the presence of emergency vehicles. Each of these situations has very specific steps to take that could save your life. The best way for a new driver to get up to speed is to attend a high-quality driving school. Certified instructors will be able to identify your problem areas and work with you to address them. Companies like British Columbia’s Valley Driving School have been working for over half a century to help drivers. In conclusion, it’s vital for teens to be prepared before they even apply for a learner’s permit. Is it time for your teen to start driving? 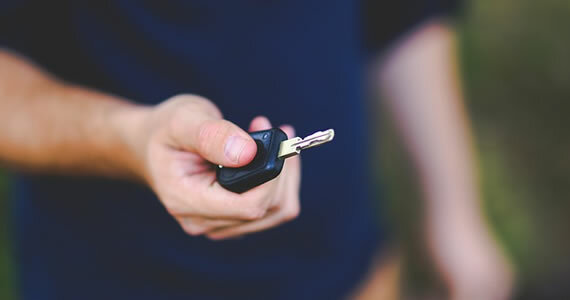 Getting your teen their driver’s permit can lead to some high anxiety, but by managing it properly you should be able to escape with both your child and your car relatively unscathed. While giving your child driving lessons is a fantastic bonding opportunity, it should never replace the hiring of an actual driving school. Driving schools teach a teen to drive properly from the ground up according to North Shore Driving School Ltd., a driving school in Burnaby. Whether we realize it or not, many of us internalize some bad habits while driving, and we don’t want to pass that along to our children! Moreover, there are some issues — such as parallel parking — that can be very difficult for a non-professional to teach. 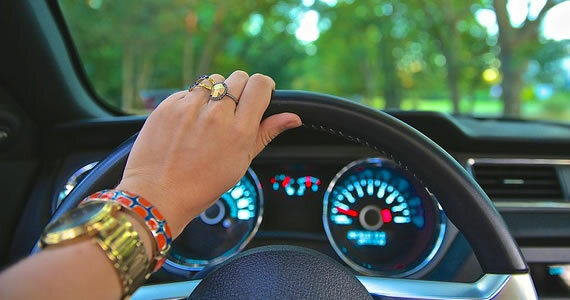 Many parents focus on the basic techniques of driving without concentrating on more practical issues, such as how to get from point A to point B. Before your teen gets their permit, make sure they know some basics: how to get directions if they’re lost, how to properly fill up their tank and how to navigate around a parking lot. Think about the things that you wish you had known before you began driving in earnest! Let’s face it: a teen is probably going to get into at least one wreck, even with you in the passenger seat. This is a time when a low deductible policy is for the best. Most teenagers won’t get into serious accidents but may instead scrape, dent or otherwise damage the vehicle at slow (sometimes achingly slow) speeds. More than just teaching your child how to drive, you should impress upon them the importance of knowing when to drive. Of course, every teen should be taught not to drink and drive, but they should also be taught about how dangerous it is to drive while talking on the phone or to drive while tired. As a parent, you’re undoubtedly aware that children are always tired — and young drivers are more likely to get into accidents when drowsy. The professionals at the driving school can offer you further tips on how to prepare your teenager properly for the trials ahead. With just a little coaxing, they should be ready to hit the road!